FHI 360 is seeking applications for a Chief of Party for an anticipated project in Jordan, focused on improving health and nutrition outcomes through a community health approach. The Chief of Party will provide overall leadership and technical direction for the project, ensuring achievement of project deliverables. The COP will be the primary liaison with the funder and will manage project staff and implementing partners to ensure proper reporting, financial management, and compliance. The position will be based in Amman and will report to the FHI 360 West Africa and Middle East Regional Director. 10 + years’ experience in designing, implementing, and managing large, complex community international program, preferably including health and nutrition projects. At least five years of progressively more responsible supervisory work experience. Must have experience in implementing donor-funded projects in Jordan. Recruitment is contingent upon successful award of the project and the selection of the final applicant is subject to USAID approval. FHI 360 is seeking applications for a Technical Advisor for an anticipated project in Jordan, focused on improving health and nutrition outcomes through a community health approach. The Technical Advisor will be responsible for technical leadership of the program to ensure quality, timeliness, and efficiency of all activities and will be responsible for defining the project’s community-based health and nutrition strategy. This position will be based in Amman and will report to the Chief of Party. 8-11 years of experience in a related field is required. Knowledge and experience working within the health and nutrition sectors in developing countries. Working experience in Jordan is highly preferred. Experience with USAID-funded activities is highly preferred. برواتب عالية تعلن منظمة FHI 360 للتنمية البشرية عن حاجتها الى : برواتب عالية تعلن منظمة FHI 360 للتنمية البشرية عن حاجتها الى : 1- Chief of Party About FHI 360: FHI 360 is a nonprofit human development organization dedicated to improving lives in lasting ways by advancing integrated, locally driven solutions. Our staff includes experts in health, education, nutrition, environment, economic development, civil society, gender, youth, research and technology — creating a unique mix of capabilities to address today's interrelated development challenges. FHI 360 serves more than 70 countries and all U.S. states and territories. Chief of Party: FHI 360 is seeking applications for a Chief of Party for an anticipated project in Jordan, focused on improving health and nutrition outcomes through a community health approach. The Chief of Party will provide overall leadership and technical direction for the project, ensuring achievement of project deliverables. The COP will be the primary liaison with the funder and will manage project staff and implementing partners to ensure proper reporting, financial management, and compliance. The position will be based in Amman and will report to the FHI 360 West Africa and Middle East Regional Director. Qualifications: Master's Degree or higher in a related field required 10 + years’ experience in designing, implementing, and managing large, complex community international program, preferably including health and nutrition projects. At least five years of progressively more responsible supervisory work experience. Must have experience in implementing donor-funded projects in Jordan. Click here to see full job description and to apply: https://fhi.wd1.myworkdayjobs.com/en-US/FHI_360_External_Career_Portal/job/Amman-Jordan/Chief-of-Party--Amman--Jordan_Requisition-2019200398-1 Recruitment is contingent upon successful award of the project and the selection of the final applicant is subject to USAID approval. 2- Technical Advisor FHI 360 is seeking applications for a Technical Advisor for an anticipated project in Jordan, focused on improving health and nutrition outcomes through a community health approach. The Technical Advisor will be responsible for technical leadership of the program to ensure quality, timeliness, and efficiency of all activities and will be responsible for defining the project’s community-based health and nutrition strategy. This position will be based in Amman and will report to the Chief of Party. Qualifications: Master's Degree in a related field is required 8-11 years of experience in a related field is required. Knowledge and experience working within the health and nutrition sectors in developing countries. Working experience in Jordan is highly preferred. Experience with USAID-funded activities is highly preferred. Click here to see full job description and to apply: https://fhi.wd1.myworkdayjobs.com/en-US/FHI_360_External_Career_Portal/job/Amman-Jordan/Technical-Advisor---Jordan-Community-Health-and-Nutrition-Program_Requisition-2019200407 Recruitment is contingent upon successful award of the project and the selection of the final applicant is subject to USAID approval. To configure, test, deliver and implement new requirements and enhancements on software systems developed by RS2 for existing and new client. The job holder will be required to provide business process assistance in Client Delivery planning. The clinical psychologist helps patients and their caretaker to cope with their situation, to reinforce their social and environment adaptability and to engage themselves in their own recovery through psychological support under the supervision of mental health manager, in addition to Collaboration with other members of the psychosocial team. Under the guidance of the Mental Health Manager, the clinical psychologist works in close collaboration with the other members of the psychosocial team. Provides initial assessment to all patients and identifies the ones in need of normal follow up or psychotherapy. Will be in charge of designing and implementing treatment plan and follow up for those patients. In collaboration with all members of the psychosocial team will identify additional training and skill development needs and accordingly prepares staff continuing medical education plans and proposals for approval and implementation at project level. Carrie out evaluation of mental health needs of patients and establishing a diagnosis and a plan of treatment. Provide psychological support and psychotherapy sessions (individual, family, and group) to patients according to MSF protocols in order to improve their mental health conditions. Collect statistical and monitoring data about mental health activities. Inform the manager and the medical team about any issues or problems that may arise related to patients’ treatment in order to provide the best possible solution from a medical perspective. 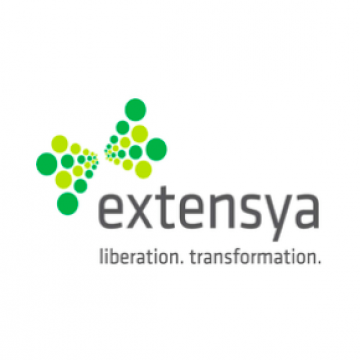 Systems Support Trainee is required in Extensya! (Males Only). University: JUST, PSUT ,University of Jordan and Philadelphia. only! - Administrates Windows servers OS Domains, DNS, WSUS, MS Exchange , and DHCP services. 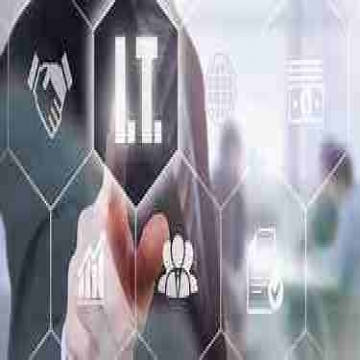 - Installs, configures & maintains personnel computers including all needed setup to operate & connect to the LAN. - Adds, removes, or updates user account information, resetting passwords, etc. - Demonstrates a blend of technical skills and responsibility. - Oversees computer security and anti-virus updates etc. - Keeps inventory of hardware and maintenance records. - Administrates & supports Microsoft office tools. - Handles end users trouble requests efficiently. - Troubleshoots any reported problems. - Ensures all software is properly licensed. Male PHP Developer is required in Extensya . • Comfortable working with debugging tools like Firebug, Chrome inspector, etc. Platform support officer is required in Extensya. - Should have a bachelor degree with one of the following majors (Telecommunication engineering – Computer engineering – Network engineering). - CCNA or any other related course is a plus. is committed to creating a diverse environment and is proud to be an equal opportunity employer. This role will be required to support the MEAL officer in performing monitoring and evaluation activities to ensure quality delivery for several projects on creating more livelihood opportunities for Syrian Refugees and vulnerable Host Communities in Jordan. The work undertaken will include a combination of routine and some complex problems and therefore will require the ability to make sound judgements regularly within agreed processes using a good understanding of the team. 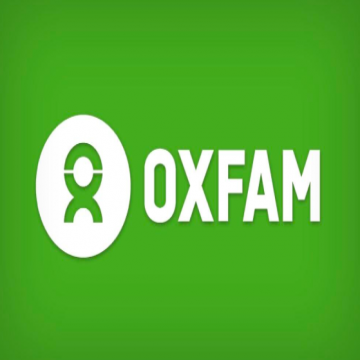 Assist the MEAL Officer and the project team for quality delivery of the projects by implementing the minimum standards and common approach to MEL and Social Accountability by Oxfam. Assist the project team in coordination with the MEAL officer in collecting data, collating and reporting, to monitor projects progress. Conduct and assist in performing observational monitoring visits, surveys, focus group discussions and key informant interviews with participants in the targeted areas; this will include field visits and phone interviews as seen best appropriate to obtain the desired data and the context being analysed. Enter gathered data in a prescribed format, provided by the MEAL Officer, to produce reports on a regular basis; normally in Word or Excel formats. Assist the project team in following-up on data gathering and reporting and enhancing the quality of data delivered, and keeping adequate recording of these data. Be prepared to undertake other duties and responsibility as and when assigned by the line manager in line with the job profile and as related to Oxfam’s programme. Bachelor’s degree in a relevant field from a recognised university. Excellent understanding and practical experience with MS Office application, especially MS Word and Excel. Basic understanding on Monitoring, Evaluation, Accountability and Learning. Ability to work under pressure, ability to prioritize and commitment to meet deadlines. ICMC has been operational in the Middle East since 2002, implementing humanitarian assistance programs in support of Iraqi refugees in Lebanon, Jordan and Syria. Since 2011, ICMC provides humanitarian assistance to Syrian refugees in Jordan with funding support from the U.S. State Department’s Bureau of Population, Refugees and Migration (BPRM), the European Commission Humanitarian Aid and Civil Protection Department (ECHO) and UN OCHA. 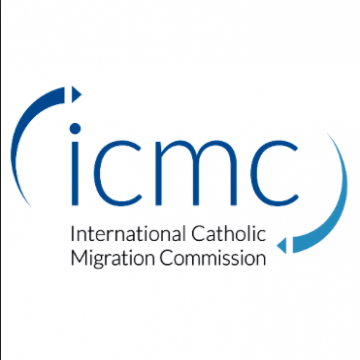 For its operations in Jordan, ICMC is recruiting a dynamic and committed Program Manager who will be responsible to lead the overall implementation of ICMC humanitarian assistance and livelihoods projects in Jordan in response to the Syria crisis. The main duty of the Humanitarian Assistance Program Manager is to ensure the successful planning, implementation, and programmatic and financial monitoring for ICMC’s basic needs, livelihoods, and protection projects in line with the donor requirements and ICMC internal policies. S/he is also responsible for leading activities to identify vulnerable Syrian refugees and Jordanians for all ICMC programs. The Program Manager will manage three Field Managers, one Team Leader, and one Communications Officer based in Amman, Irbid and Mafraq offices. The incumbent reports to the ICMC Director for Jordan and Syria. 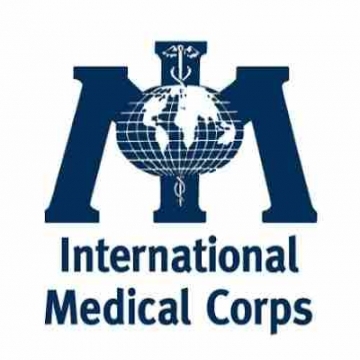 S/he will also be responsible for contributing to project reports (quarterly, intermediate and final) and engage in identifying new program initiatives and strategic approaches for the positioning of ICMC operations in Jordan. The position requires readiness to travel frequently within Jordan. Lead the planning, implementation, and programmatic and financial monitoring of ICMC’s basic needs (cash-based interventions and NFIs), livelihoods, and protection project components, in line with the donor requirements and ICMC internal policies. Undertake regular verification of all project activities and quality of casework, including through regular site visits. Regularly revise ICMC Standard Operating Procedures related to cash/NFIs distributions, home visits, identification, and livelihoods activities, and ensure their appropriate implementation in the field. Coordinate with ICMC’s Protection Advisor to ensure appropriate implementation of protection programs, regular mainstreaming of protection principles across all ICMC activities and maintain up-to-date protection curriculum. Support ICMC Jordan Communications efforts and project/donors’ visibility campaign(s) in close coordination with the Department of Communications in Geneva and in line with the overall ICMC Communications strategy. Perform any other duties as required by the program. University degree in International Relations, Business Administration, Social Sciences or a related field. Minimum 3-5 years of increasingly responsible working experience in the NGO sector, including proven multi-sector (including protection and livelihoods) and cash-based program experience. Previous experience in project implementation and monitoring. Prior experience successfully managing culturally-diverse teams to achieve project outcomes. Knowledge of institutional donors an asset. Prior work experience in the Middle-East and/or proven knowledge of the Middle East region essential. Proven knowledge and experience in designing projects and evaluating the needs of refugees, IDPs and migrants. Native-level oral and written language skills in English. Arabic language proficiency an asset. Ability to work under tight deadlines and with minimal support. Excellent communication and team working skill. Good command of MS Office applications and other computer programs. Readiness to travel frequently within Jordan, including in areas bordering Syria. DATA PROTECTION By submitting an application you agree that ICMC collects and manages the information that you provide. Your personal information will be used for recruitment purposes only. Your application will be treated with strict confidentiality. ICMC is committed to diversity and equal opportunities for applicants and employees. ICMC strives to ensure equal employment opportunities and equal access to employment and does not discriminate on the basis of race, gender, colour, national origin, religion, physical or mental ability, marital status and age. Applications will be treated with strict confidentiality. Conditions of contract The person selected for this position will be appointed for a continuing duration contract. Compensation will be commensurate with skills and experience. The role of Head of Security Syria is a strategic as well as operational role that will require hands on support to ground teams while leading them in the field and at the same time engaging with senior leadership at country and field level to extend advice on all issues related to safety and security planning and decision making. The Head of Security supports the Syria Country Director to assure that the Save the Children teams in Jordan, Turkey and Syria are able to reach children in need while maintaining highest possible levels of safety and risk management as defined in SCI Safety and Security policy. SCI Security strategy is primarily based on Acceptance and Protection with elements of Deterrence that will require Head of S&S to fully understand the context, SCI engagements, actors on ground and to ensure that leadership at Syria country and field offices are equally aware of ground developments and relevant mitigation/ engagement strategies with stake holders. The Head of Security will lead the Syria security team and will ensure that all staff at country and field level are sensitized to the threats and are prepared to respond and manage the risks. All SCI facilities including offices, guest houses, warehouses and program locations are fitted with the physical and site security measures required for a critical risk environment like Syria, which are regularly reviewed, updated and maintained. Similarly, the risk of field travel is clearly understood and SCI vehicles and drivers are equipped with relevant safety and communication equipment along with tracking mechanism that can provide early identification and response to relevant threats. Organizing, designing and delivering trainings to country and field staff will be a key deliverable of the Head of Safety and Security that he will do with the help of field security teams. These trainings include Advanced Personal Safety and Security Training (HEAT), First Aid, Drivers training, Evacuation & Hibernation drills, Duck and Cover drills. The Head of Security also insures compliance with relevant SCI global safety and security reporting systems and acts as direct liaison with the Regional Security Director MEEE, who is based in Amman. These will include incident reporting, situational reports and analysis, risk trackers, Key Performance Indicators (KOI), Security Risks Assessments, Site security plans, Security Management Plans, Incident Management Plans, Contingency Plans, Business Continuity Plans and Emergency Plans. * Experience of developing Security budgets and engage with awards team to include security costs in proposals. * Extensive experience of designing and conducting Security trainings HEAT, First Aid, Drivers Trainings etc. * Excellent understanding of Syrian conflict and humanitarian situation on ground. This includes familiarity with the various key factors impacting the political and humanitarian environment of the Syrian co nflict, including the United Nations, INGOs, NGOs, governments, and donors. * Superb interpersonal skills with the ability to communicate at all levels, establish information networks, and coordinate with country authorities, militias, donors, International Organisations and local NGOs. This includes ability to engage country leadership and RSD MEEE and keep them abreast of all developments on ground. * Proven skills in concise and succinct report writing and using Microsoft office tools. * Excellent time management skills to prioritise and meet deadlines. 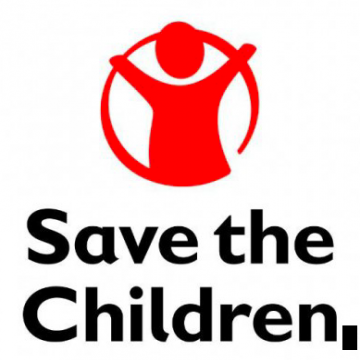 * Commitment to the aims and principles of Save the Children. In particular, a good understanding of the Save the Children mandate and child focus a nd an ability to ensure this continues to underpin all aspects of the job. * Commitment to Save the Children Child Safeguarding policy. As a member of the country level Senior Management Team (SMT), the Internal Controller position will independently evaluate the adequacy and effectiveness of the governance, risk management and control systems within the county programme and provide regular opinions on the effectiveness of these systems together with proposed action plans to address any weak areas. The position will lead on coordinating any fraud investigations. The Internal Controller is also expected to instruct and follow up internal investigations on fraud cases and follow up on whistleblowing suggestions. The position is expected to monitor and report on the implementation of Global Assurance audit findings, and train and raise awareness on internal control systems and fraud prevention good practice within the country office and within partner organisations. The incumbent is expected to maintain a robust internal control and governance environment. You will proactively work with the Regional F raud Specialist on key issues and opportunities to find and implement solutions at the country office level. You are also responsible for the stewardship of agency assets and reputation by ensuring compliance with local laws, regulations, and member/donor requirements. You are expected to provide sound business intelligence to management, other second line functions and to SCI’s Global Assurance team. You are expected to interact closely with partner organisations on risk management and key compliance and control issues. You must be articulate and comfortable with a diverse role covering a variety of offices, whilst working closely with high-intellect stakeholders. To thrive in this role, you must be highly driven and a self-starter to achieve excellence. Monitoring and support will take place in a number of complex area offices that Save the Children operates within and you should be willing to travel to such locations. • Bachelor’s degree in computer science, computer engineering or any related field. • +2 years of relevant experience. • Customer service experience in shipping companies. • Excellent MS Office skills. • Analytical and problem-solving skills. • Multitasker, organizational skills, time management skills. • Bachelor’s degree in any related field. • 6 months to 1 year of relevant experience. • Ability to use different systems and software. • 1-2 years of relevant experience. • Excellent ability to close cases. • Bachelor’s degree in Business Administration, Digital Marketing, Economics, Finance or any related field. • 3 years of relevant experience. • Excellent knowledge of Data Analytics platforms. • Research skills, statistics Skills and data mining skills. • Presentation skills and Data integration skills. • Manage on sight search using given tools. • Set insight recommendations using given tools. • QA website content for both design and functionality. • Guarantee SEO practices provided by marketing team and performed by both Merchandising and production team. • Choose items for marketing campaigns. • Follow up on implementing and designing landing pages. • Reporting performance for both on sight search and recommendation. • Bachelor’s degree in Digital Marketing or MIS. • Bachelor Degree in Business Administration or any related field. • 1- 2 years of experience in a similar role. • Provide analytical insights to drive both tactical and long term pricing strategies. • Perform financial analysis on the current state of pricing actions and impact across businesses, channels and products; identifies and quantifies pricing-related performance improvement opportunities. • Help the team understand how pricing levers impact sales, revenue, and profits across product categories. • Define, build and implement solution to measure price effectively. • Identify and define data collection needs for future work. • Build reports using internal tools for key metrics. • Carry out presentations, work with spreadsheets to run in meetings. • Plan strategically and participate in supplier contract negotiations. • Bachelor Degree in MIS or any related field. • Ability to use social media Analytics tools and platforms. • Excellent knowledge of influencer marketing. • Manage and Develop Acquisitions, retention and content. • E-Mail campaign sales maximization through content and design A/B testing. • 2 years of relevant experience. • Content creation, copy writing and translation experience. • Bachelor’s degree in MIS or Economics. • 2-4 years of relevant experience. • Experience working in High tech companies. • Bachelor’s degree in Accounting or any related field. • E-commerce experience is a plus. Interested Candidates can send their CV to the below email, mentioning the job title in the subject line.